CakeSpy Note: When I heard a rumor that Kate Lebo of Pie-Scream (I'll tell you more about THAT soon) was headed to Iowa to judge the pie contest at the Iowa State Fair, I had a request: FIND MORE ABOUT THE DUTCH LETTER. This elusive sweet seems to be an Iowa specialty...but why? Here's Kate's report. “If it’s almondy and crispy, it’s Dutch” said Cassie Van Wyk of Jaarsma Bakery in Pella, Iowa. I’d asked her why so many of the peach pies I’d tried at the Iowa State Fair had almond extract in them. I’ve seen that addition in cherry pie, sure, but peach? It makes peaches taste canned! Cassie’s response also applied the baked goods she was selling me: Almond Banket (pictured below), St. Nick Cookies, and what I’d driven an hour down I-163 to find, Dutch Letter Cookies. When Jessie Oleson found out I was going to spend two weeks in Iowa so I could judge the State Fair pie contest and spend some time baking with Beth Howard of The World Needs More Pie at the American Gothic House in Eldon, IA, she asked if I’d take on a sleuthing assignment for Cakespy. “Dutch Letters,” she said. “Ever heard of them?” Nope. What did they look like? “They’re S-shaped pastries. 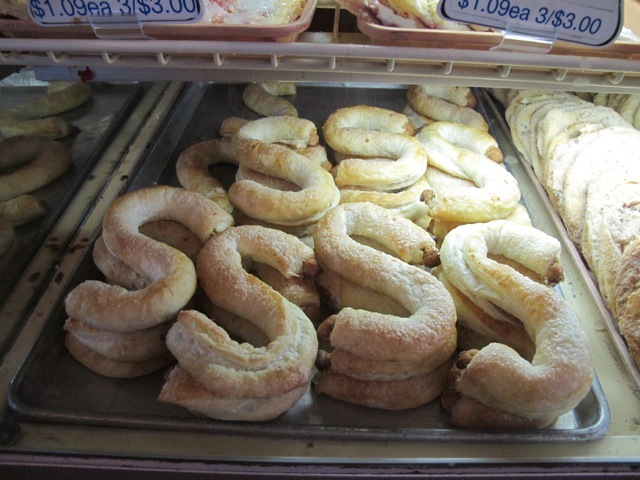 Apparently they’re an Iowan specialty.” The S-shape brought to mind the S-cookies my mother used to feed me when I was a small child in Southern California. She’s from Iowa, so the connection isn’t as far-fetched as it seems. That’s how my search started with a phone call to Mom. “Dutch? I’m pretty sure they came from an Italian bakery.” There goes my S-cookie theory, I thought. “When we moved to Washington, I couldn’t find them anymore. They were the perfect snack for small kids because they were just a little sweet and soft, not crumbly or flaky, so they didn’t make a mess when you snacked on them.” That’s my mom, Ms. Practical down to desserts. I remembered S-cookies as being about five inches high, golden brown and lemony. And the texture--Mom had that right. It would dissolve in your mouth before crumbling in your lap. But Italian? That couldn’t be right. 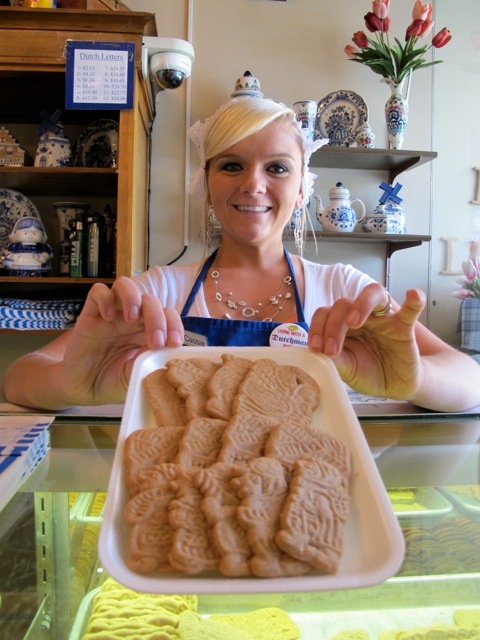 Dutch Letter Cookies are, well, Dutch. So I asked my mom’s other sister, Gail, the one I’d be staying with in Des Moines, if she’d ever heard of Dutch Letter Cookies. “Oh sure. I have one in the freezer. But they’re not called Dutch Letter Cookies. They’re called Dutch Letters.” Ah ha! When I got to Iowa, my quarry would be waiting for me. The day I met Beth Howard at the Iowa State Fair, it was 90 degrees in the shade but still not too hot for pork chop on a stick. While we wolfed down our snack, I told her about my Dutch Letter quest. “You have to go to Pella,” she told me. “It’s a Dutch community about halfway between Des Moines and Eldon, so that’s perfect. Most of the bakeries there make Dutch Letters, but the Jaarsma Bakery’s are the best.” A couple days later, after eating mountains of almond extract-flavored peach pie, I charted a course for Pella. 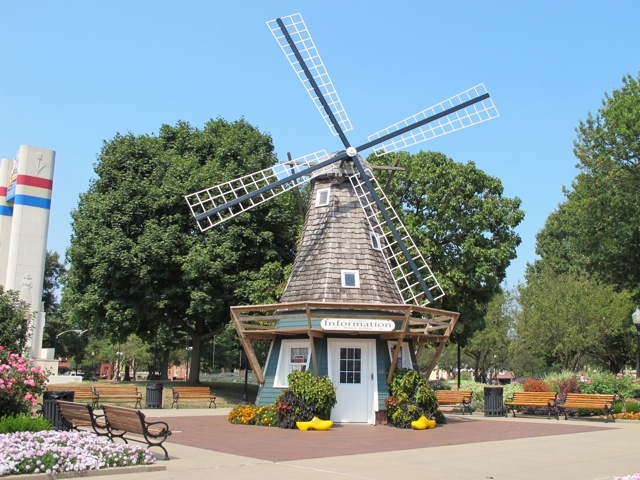 Pella has windmills. Huge windmills. Plus lots of antique shops, old European storefronts, and dutch bakeries, Jaarsma chief among them. When I walked in, I noted the white lace hats the workers wear and the fact that Jaarsma’s dry goods section carries De Ruijter, a Dutch treat I’ve been dreaming about since I last made it my daily midnight snack during a week-long stay in Holland. De Ruijter are essentially soft chocolate sprinkles you serve on hot toast. They melt where they touch the bread but stay crunchy on top, and unlike Nutella they have no nutritional value whatsoever. 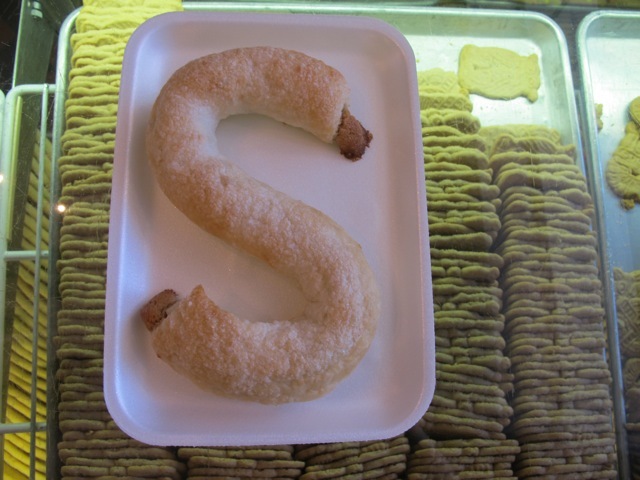 I picked up a box and made my way over to a pastry case full of S-shaped stacks of Dutch Letters. “Why the S?” I asked Cassie Van Wyk. “It stands for Sinterclaus. It’s also the easiest letter for our bakers to make. Way easier than E or an R.” Except for I, right? I asked. 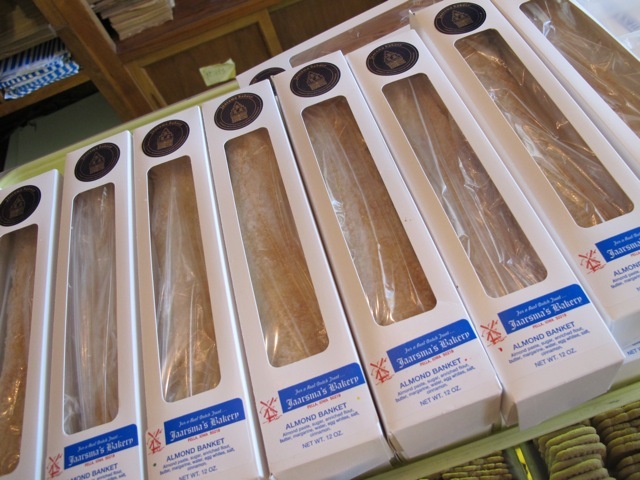 “We have those too,” she said, pointing toward a pyramid of boxed I-shaped pastries labeled Almond Banket. They’re surprisingly heavy. “That’s because they’re super-stuffed with almond paste. My boss says that one Banket is the equivalent of about four Dutch letters. When I have one, I have to share it with two or three friends.” Thinking of Beth and the folks that I’ll soon meet in Eldon, I added one to my shopping basket. A fresh Dutch Letter tastes like a defrosted Dutch Letter times ten. It is a tidy mother’s nightmare--so flaky and light that pastry shards cling to your mouth with every bite. The almond paste inside gives the pastry some heft and substance, the way De Ruijter transforms toast into dessert. The almonds are ground so finely that the only suggestion this dreamy paste was once made of crunchy nuts is its unmistakeable marzipan flavor. It reminds me of an almond croissant, but you don’t have to work so hard to find the almonds hidden inside. 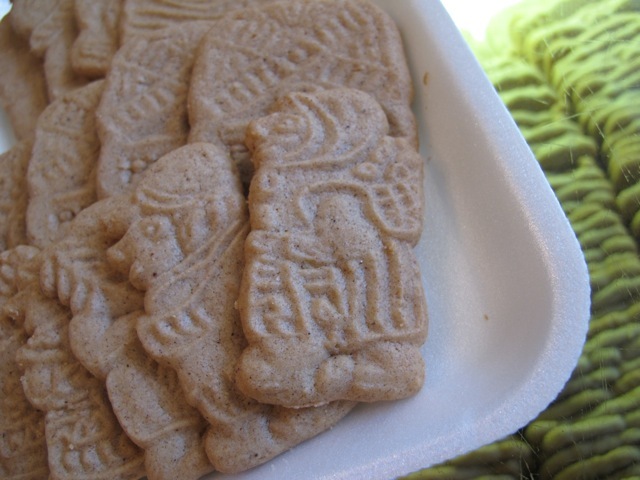 My aunt’s guess was almost right--Dutch Letters were originally baked as special treats for Sinterclaus Day (the Dutch Santa Claus Day) but at Jaarsma you can have a Dutch Letter any day of the year. Thanks to the internet, that goes for all you non-Iowan folks too. Order on Jaarsma’s website and they will ship them straight to you. 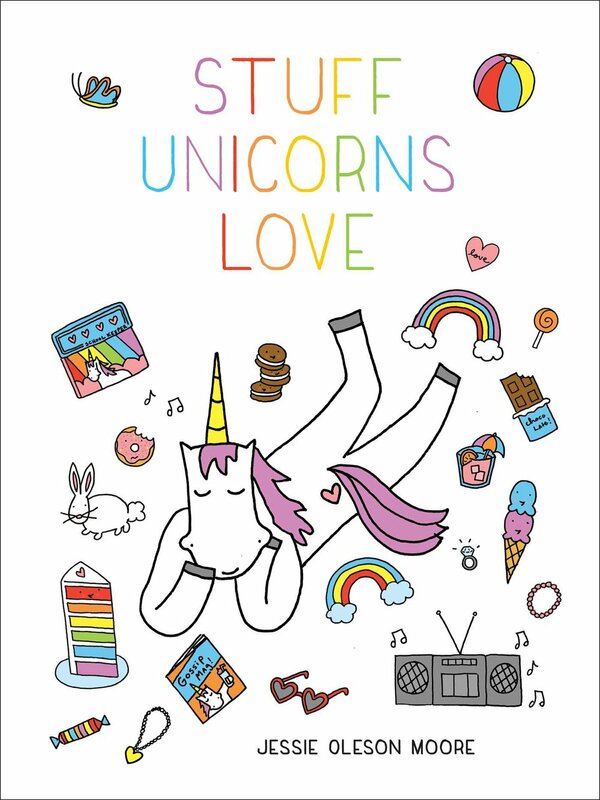 To order from Jaarsma, visit their website; to see more of Kate's work, visit Pie-Scream.